Let us begin by you introducing the readers to Endymion. Endymion is the name I picked for the music I started writing during the Autumn of 1998. Since this music was a complete departure from what I had been doing in the past, and the musical projects I was involved with during that time, I felt it was wise to separate it and form a new concrete entity, a band and project with a life of its own that would continue to be an inspiration to me. The music that I write for Endymion is based on a set of simple principles that are always advancing and evolving. These principles include: the beauty of the natural world and the 'pagan' approach to nature (by 'pagan' I mean an ecologically-conscious view of the environment surrounding me and an abandonment of traditional religious rites in favor of an intuitive absorption of experience), the profoundly-felt awareness of the essentially tragic nature of human life and experience, the mysteries of the night and the mystical attraction of darkness, and the ability of a musician to convey, through non- traditional means at times, what has influenced or impressed him in this life and what he wishes to leave behind as messages for those who come after him. Endymion was a Greek king loved by the goddess Selene...his fate was to be condemned to eternal youth while he slept. So he lives forever, but the irony is that he is asleep, he cannot feel or touch the natural world. How many of us would make that deal with the heavens? To me this myth is essentially an archetype of the laws of fate: what the world gives with one hand it will often take with another. Some would see Endymion as a tragic figure...I don't. To eventually slip from consciousness and dream forever is the fate of all of us, some would say. I love the bitterness of the Endymion story (not many of the Greek myths are essentially 'positive') but I also love the romantic notion of eternal life, eternal love. I wanted a name that would fit the music I was creating: since I have been for a very long time obsessed with mythology it wasn't that difficult to find a theme that I could wrap the dark melodies of the band around. 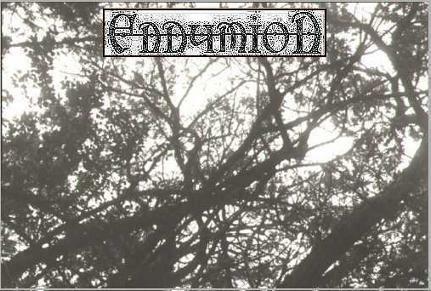 What can you tell us about the sound of Endymion besides that it is doom metal? What makes your sound different, in your opinion, than other bands of this genre? I don't really consider Endymion to be a doom metal band. For convenience I'll refer to the music that way - it's much easier than trying to explain what it is and then trying to explain your explanations. It's 'doom metal' in that I try to keep the music very slow...almost as slow, really, as the riffs will bear without some kind of internal disintegration. You can only play so slow before the notes in a riff lose their cohesion or coherence and become part of some sort of 'atmospheric' backdrop to the rhythms and vocals. So I play fast enough to allow the riffs their own individual identity and meaning (and let them express their emotional message) but not so fast as to summon any sense of energy or direction. My motive with the pace of the music is to put the listener into a trance where the notions of time become almost ephemeral. Is the song 5 minutes long or 50? That kind of feeling. The 'timeless' feeling that I am trying to evoke in my songs is one of the strongest indicators of the mystical or transcendent in life. It is always a component of any epiphany you will ever have - the sense of your own small worth in the cosmic sweep of fate, the essentially minute part your will actually plays in your own life or in the lives of others. Endymion's music is a sea of swirling darkness, without time, without place...it is the sky at night, the mocking emptiness of space above you. I want to make music that is like a force of nature...like an earthquake or avalanche. Being the sole member of Endymion, tell us the pros and cons of working alone. Plans to unite with others in the future? No problems at all, really, in just doing the music by myself. It is MY music - why would I let others dilute it? Why would I hazard the chance of others misunderstanding the motives or form of expression? In the future I might work with other people in projects that are similar (at least on the surface) but I want to keep Endymion for myself. You say you concentrate on such topics as loss, abandonment, mourning etc.. Tell us more deeply about the inspiration behind this. Do you find the state of the world to be responsible for this? I really don't know what else to write about or what else to evoke or summon with my music other than these emotions. I am incapable of writing 'happy' music - whatever button pop musicians push to start that sort of process I never had installed. I only want to write music or play music that affects me emotionally or communicates what I consider to be essential truths in life. That is the way to artistic fruition and satisfaction, I believe - you have to stay close to what started you composing in the first place. I can express many other kinds of emotions in many other different ways, but with my music I need to get across to other people ideas and thoughts that I can not allow out of myself (for whatever reason) through 'normal' channels. Music is transcendent, beautiful, immortal - I want to take part in that immortality and help build the foundation beneath it. I think that the world as it is right now is responsible, at the roots, for what I am doing with Endymion. My life, the lives of others around me, the failures we have witnessed, the setbacks and disappointments and lessons taught by the bitterness of existence...these all add up to the inspiration behind the music. I want to reflect, with Endymion, the way that I see the world. I think that is the function of art - to hold a mirror up to nature...or at least to what we have done to nature. Which brings us to your thoughts on the world. Do you see hope for our future? Or do you see the great decline that so many others do...? Tell us about the song... 'The Day of Doom is Upon us,' as a random example. The song 'The Day of Doom is Upon Us' is essentially about that thought and realization that I mentioned in the question above - the idea that you come to, sooner or later, that you WILL die. Memento mori. It is my attempt to replicate the discovery of that truth. The initial shock, the incipient depression, the inconsolable grief of life coming to terms with an unavoidable truth, the mourning that overwhelms and suffocates and bitterly poisons existence, the black pall that descends over all your attempts at forgetfulness, the remorseless hand of destiny and your attempts to placate it or escape it, and the eventual acceptance of death. Life does not begin until you come to terms with death, until you embrace it and understand it's effect on your own thinking. Nothing quickens the forces of life like the proximity of death. No one can 'understand' death, it is a wall beyond which we will never penetrate...but it is possible to understand your own need for escaping it or avoiding the truth of its existence. You state that Greek/Roman 'myths' are a source of inspiration for you. On the topic of religion, in your perspective, what makes those particular deities 'myths' or 'fables' and those of Christianity 'reality'. This could be said of many religions of old, spanning many cultures and peoples. Would you say it is a case of 'The victor shall always be the judge, and the defeated the judged'? It seems to me that the mass of people need some kind of religion in their lives...they stick to what they were taught as children usually, out of laziness or fear or force of habit. I wasn't raised in an organized religion, so I don't belong to one. It's that simple. Myths are stories that have a symbolic meaning - a message or internal wisdom that is supposed to let you peer into the mysteries of life. Myths teach basic skills and basic ways of viewing the world. The ways that the Greeks, for example, interpreted their own experiences can be seen in the myths they spread as a culture and taught their own children. The mythic framework they evolved is a structure that explains their interpretation of the universe and all its forces. I think that I naturally gravitated towards the Greek and Roman models when I was younger because they are much more realistic in their depiction of the world than their Christian counterparts (many of which are direct descendants of Greek or Egyptian models). The Greek myths do not avoid lust, avarice, greed, hatred, envy - all the 'negative' emotions of the Christian mythos and the emotions practically proscribed by Moses. They are pragmatic in that they teach the natural consequences of emotions that they considered basically human. I find that it is much more realistic and healthy to learn how to steer your way through the world, with all its foibles and pitfalls, instead of trying to negate the world on the whole and turn away from it. I think the Greeks were much healthier than we are in spirit, mind, and body. Their myths have a timeless feel to them - the feel of lessons essential to the identity of our civilization when they were first learned and placed in a symbolic code for transcription down the ages. The mythology of the Greeks and Romans was also very inspirational to me because of the iconography and all the images of the symbols used in the stories. They make poignant subjects for songs...a song about Scylla or the Sirens still has a lot of relevance for the 'modern' age. 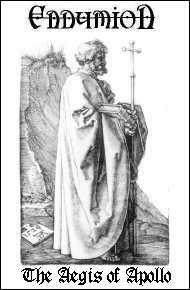 Your thoughts on modern religion in general, as compared to the 'pagan' religions of yesterday? I don't have a lot of respect for the 'modern' religions of today. I think that Christianity now fails to satisfy the spiritual needs of most people - they have lost contact with their lives, their desires, their true wishes and feelings, and most of all, they have lost contact with the Earth and Nature and the ways that we, as human beings, are affected by our environments. Christianity is the great Destroyer of Culture in history, it assimilated civilizations without including their different cultures, and subordinated the cultures it found to its bland theology and stolen mythology. The best religion is one that explains man's function and role in the universe, to an extent that his life is seen as natural, as part of a cycle, a chain of events. The Pagan mysteries of various cultures have one thing in common: they seek to reunite man with Nature - and help him rediscover his own true nature. Do you yourself practice any sort of religion? What do you envision awaits you after death? I'm not really religious at all right now. I don't believe in the God of any organized religion...but I wouldn't consider myself an atheist - that seems to me to be too simple an explanation. I believe that it is self-evident that there are forces in life that we can not control or understand, and our fear leads us to wild speculation - but why should I believe the thoughts of men that have come before me, or men outside of my life? Why should I trust another's doctrines or dogma? I can not bow down and blindly believe in anything created by other humans...my basic misanthropy prevents me. I am comfortable right now just assuming that I'm going to find out, at one point or another, whether there is a God or not. Non-musically speaking, what inspires you in life? Do you believe that there exists things in life worth dying for? If so, an example? Literature, nature, my fellow human beings...my past, things that I've done or things that have been done to me. I believe in the sanctity of the arts and the appeal that artists make to the Infinite - that is, that all art ultimately rises above our experience and stands as a testament to what the Universe can accomplish through human beings. Music, to me, is completely transcendent in this aspect - it is the language of this world and the cosmos above and those who work with it are dealing with the noblest art, the quickest pathway to the mind and heart. I'm inspired by the metamorphosis that all of us as artists have to go through, the journey from self-doubt to confident creation...I'm inspired by the stories of those who have already taken the journey. Everything in life is worth dying for - life itself is worth dying for...death is meaningless - who can know their own death? Who can measure the value? Would you rather be asleep or awake? I would die for my convictions, die for the ones I love...I have no problem with sacrifices. If tomorrow were to be your last day of existence, and you were made aware of this certainty, what would you do with your remaining hours? I would calmly wait - or try to...I would try to summon the thoughts that would lead me to consider my death or erasure a positive thing in my life. Why go screaming into the dark? What's the point? Everyone dies, you might as well die with dignity - if only so that you respect yourself at the last instant. If you could obtain the answer to any one question, what question would that be? And lastly, to end the hypothetical questions, if you could go back in time, to any point of man, for a day, when and where would you go; and what would you do there? I would go back to a time, I think, before the rise of humans as a species. I would smell the air, taste the water, look around and experience what the world was like before we started on our grand crusade of poisoning life. Back to music, the demo 'The Aegis of Apollo' is dedicated to Edward John Moreton Drax Plunkett. Tell us about this individual and why this work was dedicated to him. Your full-length release, 'Apocrypha', is scheduled for release February 20. Tell us about this and how it will differ from the previous demo releases. 'Apocrypha' will contain seven songs, three of which are from the first two demo tapes. It is an epic work, dedicated to the mysteries of Night and Death, and revolving around a Final Exorcism I am trying to bring about with my music...it is a labor of love, but it was inspired mostly by hatred, fear, anger, envy, and despair. I have put a lot of negative energy into all of the songs...so much so that it is paralyzing at times - it is absolutely corroding, poisonous...I was trying to encapsulate the view I have had of the world and my own life for the past twenty-five years in this album, and then have it leave me, leaving me free of it all...the album starts on a the very edge of a downward spiral and descends directly from there...it is a journey from depression to despair to death. On this album there is no hope, no savior, no redemption. Only, ultimately, an end. Final comments and words of enlightenment...?